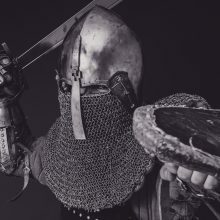 HomeBlogReviving the ChurchIs the Bible still inerrant? 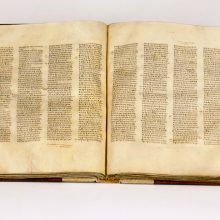 In previous posts we’ve explored the practice of textual criticism, which attempts to reconstruct a text as closely as possible to its original form.And so, as we pointed out, the application of textual criticism to scripture is based on the underlying assumption that the Bible is corrupted. That it contains errors. That it is not inerrant. That it is not the word of God alone. That it suffers an indelible mark placed upon it by man.New Testament textual critics can still believe that what God originally inspired is inerrant, of course, and they often do. But for all practical intents and purposes, believing that the Bible is corrupted is no different than believing that the Bible contained errors from the start, because the result is the same: we do not have the inerrant word of God today. If this is the case, as far as the present-day reader is concerned, the book of scripture is not without error.This is in fact the very argument put forward by Bart Ehrman in his 2005 book, Misquoting Jesus. In practical terms, to believe the Bible is corrupted is to believe that there is no such thing as inerrant scripture.But the Bible is quite practical in its doctrines, and its presentation of inerrancy is not one that is tied solely to the original moment of inspiration. It is an enduring inerrancy, that persists to all generations. In the words of Jesus, not one stroke of the pen can be diminished from the Bible. And he was clearly speaking of this in physical terms, as of the extant manuscripts on earth, for he connects it with the passing of heaven and earth, when this world and the things that are therein shall be burnt up (2 Peter 3). Until that time, God’s word—every jot and tittle of it—will always be physically present on this earth.And if what God originally inspired is still present on this earth, and it was without error then, that means that it is still without error today. The word of God does not become filled with errors over time, but the inerrant word of God endures for ever.But beware of those who speak of the Bible’s “reliability,” “accuracy,” or say that “no major doctrines are affected.” These are nothing more than weasel words. They belie the fact that, in their words, “no extant manuscripts are inerrant,” and that at the very least non-“major” errors are present.Yet isn’t inerrancy a major doctrine of scripture? And isn’t it affected if we have a Bible that does have errors? In practical terms, it most certainly is.But we may trust God when he promised that he would preserve his word, and that it would remain pure forever. Psalm 12:6 The words of the LORD are pure words: as silver tried in a furnace of earth, purified seven times. 7 Thou shalt keep them, O LORD, thou shalt preserve them from this generation for ever.